HAVE YOU EVER BEEN ON A DIET? 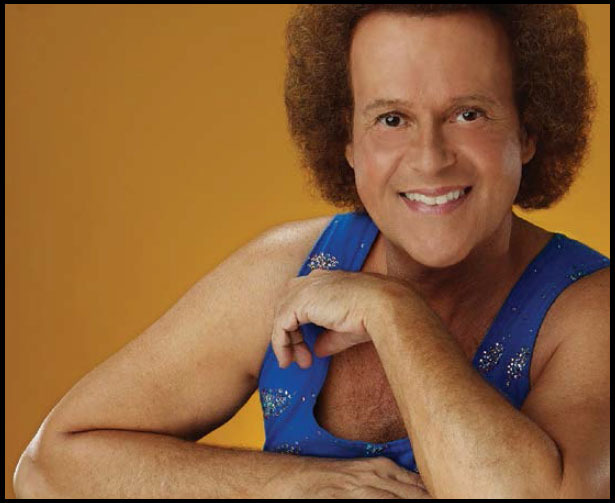 IF YOU ARE LOOKING TO GET IN SHAPE, PERHAPS YOU SHOULD TRY THE RICHARD SIMMONS METHOD. DIET GURU AND SELF-MADE MILLIONAIRE, RICHARD SIMMONS HELPS PEOPLE SLIM DOWN. AS A CHILD, SIMMONS HAD HIS OWN WEIGHT PROBLEMS. NOW HE LIVES TO HELP OTHERS LOSE WEIGHT AND FEEL GREAT. Richard Simmons spent most of his childhood being overweight. By the time he was 18, he weighed more than 130 kilos. On a television interview, Simmons talked about a life-changing experience, “I went inside a store, came back to my car and saw a note. The note said, ‘You are killing yourself living like this. Please don’t die.’” Simmons, who afterwards lost 55 kilos, admits that he lost the weight in unhealthy ways. For the future, he wanted to provide desperate dieters with healthier methods. So, in an effort to present alternative weight loss options, Simmons made a fitness videotape series called “Sweatin’ to the Oldies.” In these workout videos, he wanted “real music”, not techno.